What's a decent touring speed? I'm most curious.. what's a good speed or typical speed that one of you would paddle at on a touring board? i have an older model 12'6 x 29.5 board that doesn't have the bulbous nose types of newer models. It's also got a bit of rocker in the nose and a super pinny tail, most likely suited to downwind than touring conditions. 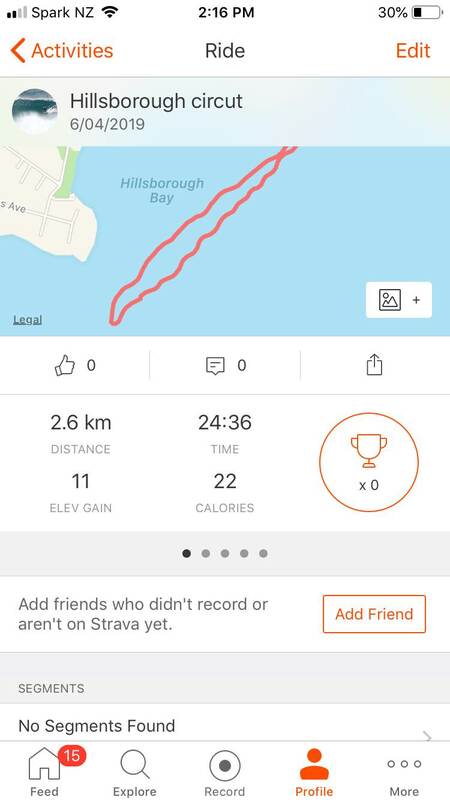 I've done a couple of times of a 2.6km circuit, the first was downwind and then upwind, the second was flat conditions. On the flat pass I averaged about 6.6kmph, while also stopping to take a photo for a minute at one point and also while using my fixed-length surfing paddle which is also far too short for boards this long. Really curious to know whether this kind of speed is ok, or whether the newer boards are a lot faster? I was contemplating a 14'0 x 24 nsp puma until reading a review where someone was trying to achieve 7kmph on it, which is basically the same speed as my last pass? A lot of factors like tide, wind etc have an effect and I also asked this question some time ago. 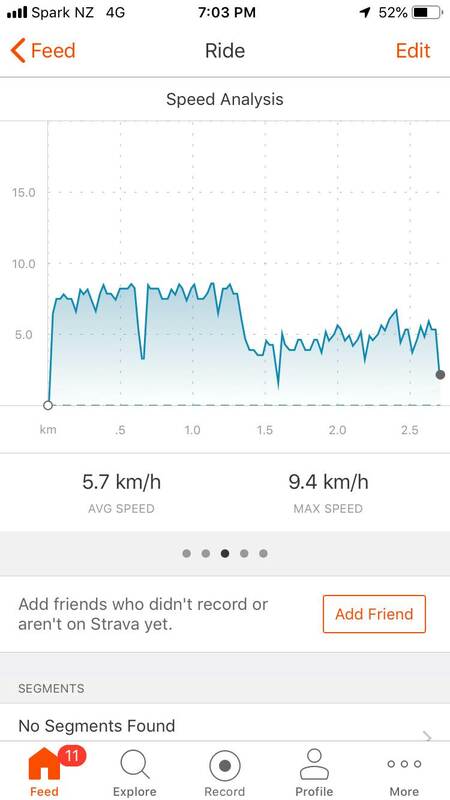 You are about average at those speeds, I was told a pro can hold 10km per hr for long periods so don't stress too much ch it's all about having fun. Dude on the Manukau there is generally more tide and windier. Mate what job gives you time on water at 2.16pm and any going on the shore? 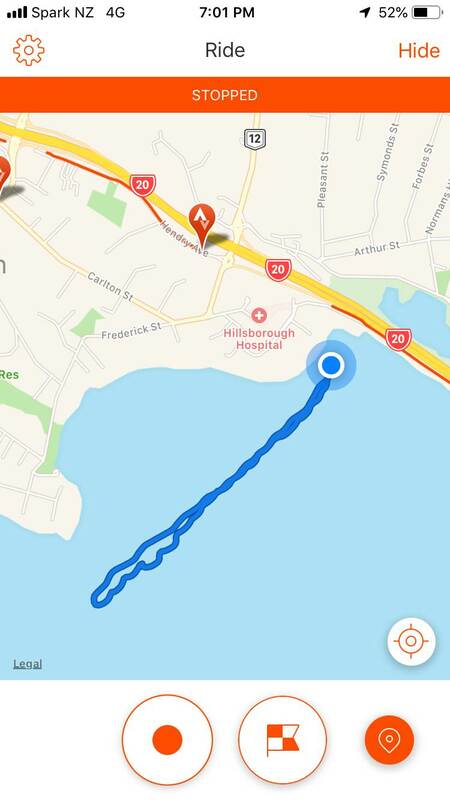 Haha it was Saturday, so no job on that day it does get pretty unruly around Mangere Bridge and the manukau harbour, the first time I did it, it was pretty windy and choppy. The second time was fairly glassy, but it's still open ocean conditions out there. more interested to know whether I would get much more speed going to a newer model race / touring board like the puma, falcon, all star etc. 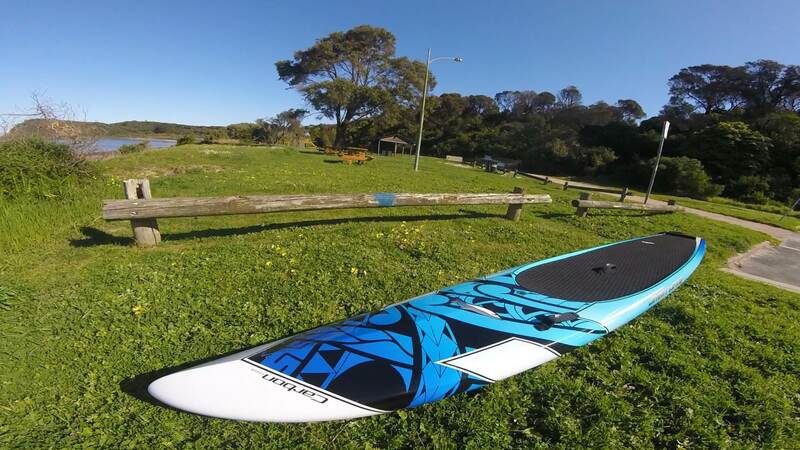 i thought I'd enter the 12'6 novice cup winter series shortly but then was thinking I probably wouldn't be competitive with this board, and then if I was going to upgrade then why not just go to a 14'0 board so I can race in the next series up- the 3 or 4km event. Judging by the speed I get off my current board which is certainly not a flat water racer, maybe I'd go ok with a newer board in that class? Small time local race in San Rafael California had 3rd place Amateur 14' finish 6.6 miles in 57 minutes, out and back. 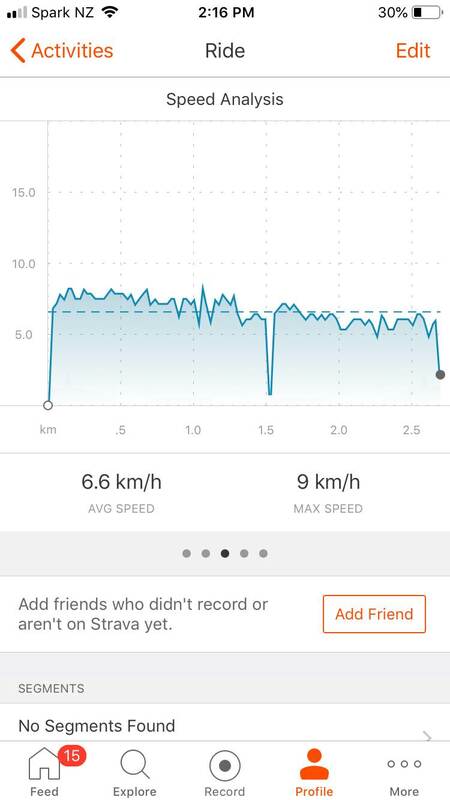 Sheesh that's pretty quick, above 10kmph for an hour. What board were you on? Not me, I'm 70 and a lazy windsurfer, foiler, and sup wave rider. 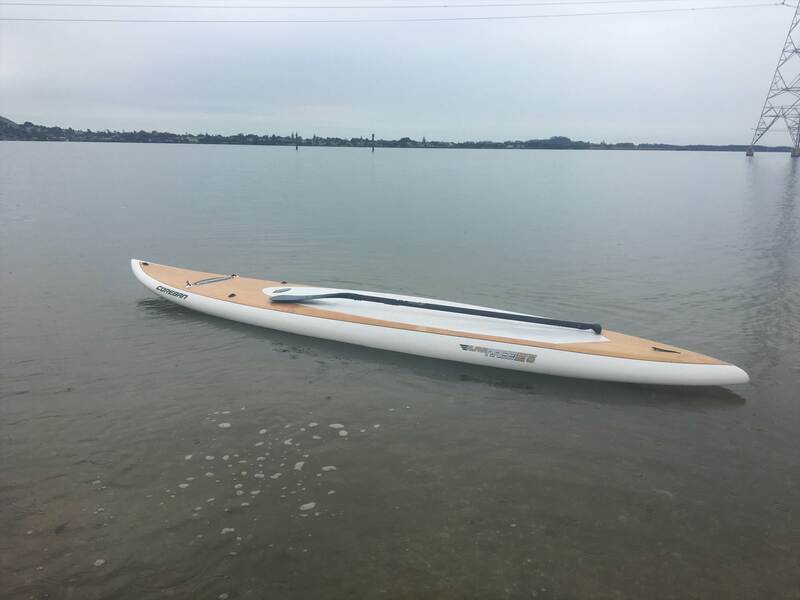 Dude, Vincent, in his 4th SUP race, 28 years of age, 140lbs., custom 14' x 25.5 flatwater race board. I think you will start to notice it's not the board but the paddler that makes a difference, give the same guy your board and he will do the same speed pretty much. There are air race boards going pretty cheep, $420, I think its 14 foot. 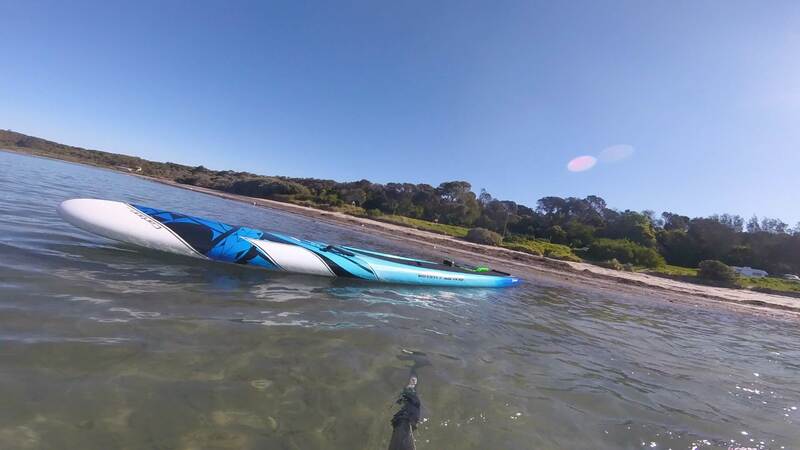 I usually paddle around 3-4km an hour on my avanti, and its a boat, on my inflatable, 4-5km hour. Downwinding anywhere 6-8km hour.